This map recreates the hospital more or less as it would have been in the late nineteenth century. Roll over the points on the plan to access more detailed information about each location and life in the hospital. By visiting the doctor’s room, you can look at a photo album featuring 15 hospital patients, and consult their records. 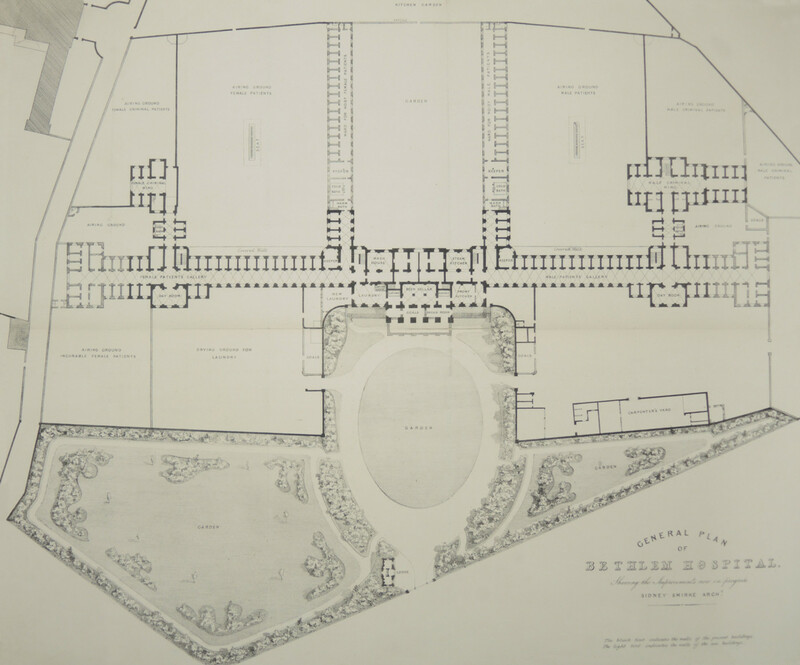 In 1815 Bethlem Hospital moved from the City of London to St George’s Fields in Southwark. The new site gave greater room for expansion and a more open and pleasant environment for patients. The hospital was built over four floors, with extensive grounds. There were separate wings for male and female patients divided by a central administration block. Bethlem remained on this site until 1930 when it moved to its current site in Beckenham.